In villages of Rajasthan, we often hear women saying “Baoli te poni bharene aau”. “Baoli or Bawdi” is the Hindi name for stepwells in India also know as “barav” in Marathi, “vaav” in Gujarati & “pushkarni” in Kannada. 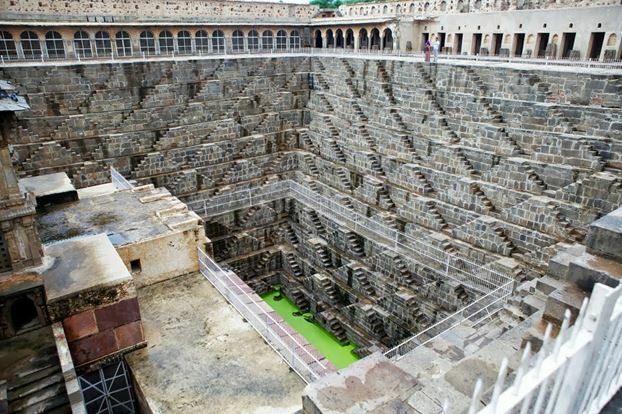 Stepwells are the massive structures that were designed as a way to access the water table in the region where the climate remains dry most of the year, with a very limited amount of monsoon. During medieval period stepwells were used by the travellers as a resting place and to quench their thirst. But today it is just the hangout place for couples & local people. This architectural structures & their designs are never spoken about or given a tag of traveller & tourist place. Protected monument by Archaeological Survey of India. Built by King Agrasen during Mahabharat period. Possesses 103 steps, descending down to reach water. 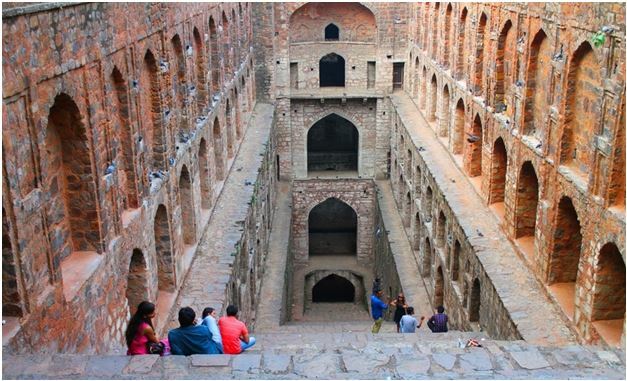 It lies amidst business towers and residential areas, its 14th century construction, this baoli is lined on both side with chambers and niches.104 steps descends into the bottom of the baoli which has 3 levels. It has now become a peaceful haven for young visitors which were once visited by queens and kings. It is also said that the baoli is hunted, the black water of baoli attracts depressed & mentally weak people to commit suicide but there are no evidence or proof. October to January is the best period to visit here & anytime between 4 pm to 5.30 pm is the perfect time to capture the perfect shots. One of the UNESCO’s World Heritage Sites. Had 7 stories out of which only 5 remains today, which consist of exquisite carvings, which depicts rhythm, beauty. It consists of celestial beings, Lord Vishnu’s avatars carving by the artisans which are absolutely magnificent. After the Bhuj earthquake, the entry to the stepwell has been restricted. Winter is the best season to visit here. The early morning sun rays falling on the structure will leave you speechless & 6.30am to 8.30am is the perfect time to capture the perfect shots. The attractive Indo-Islamic architectural project of this construction makes it an immaculately exclusive edifice. 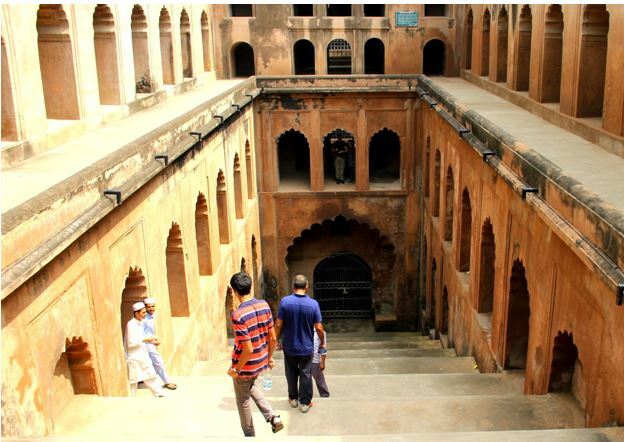 The Shahi Baoli was built along with the other components of the Bada Imambara so as to provide food and work for the poor people of Awadh. Entrance to the Shahi Baoli has finished a double-arched gateway. There is a huge stairway which descends to the stepwell. 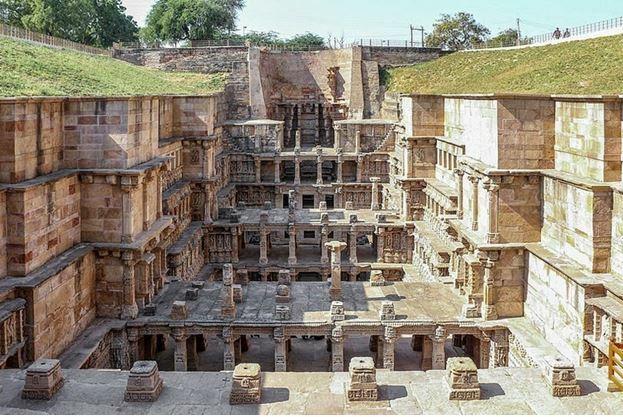 Surrounding this stepwell is a multi-storeyed structure which includes several open arched windows and inter-connected colonnades. The Baoli is constructed in a way that it provides a secret view of the visitors. A colourful shadow can be seen which provided a clear hint to the royal guests. December to February is the perfect time to visit & anytime between 4 pm to 5.30 pm is recommended. Built by King Chanda of Chauhan Dynasty. Served as community gathering place in days of scorching heat. Special character consists of 13 stories and is roughly 100 ft deep .The stairway looks like small pyramids which consist of 3500 steps. It is almost 1000 years old and is a preserved heritage of India. It has also been filmed in many Bollywood blockbusters. October to March is the perfect period for all the traveler & tourist to visit this place in Rajasthan & deem day light between 5pm to 6.30pm is when this structure looks best. More than 50 baoris in Bundi. Abused once and used for disposal of garbage, later restored their existence. 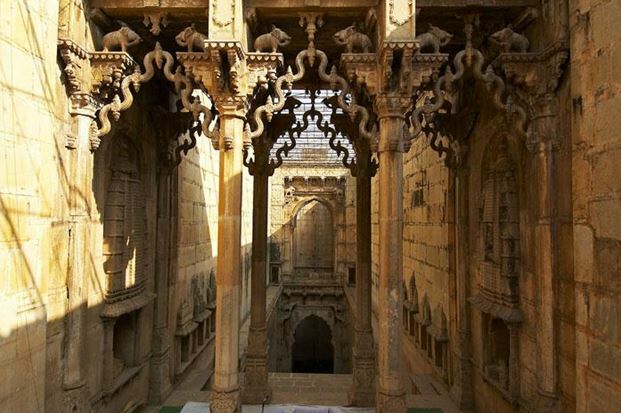 Ranji ki Baoli, one of the most famous baori of bundi, has Stone elephants standing on the top corners of the pillars. Raniji ki Baori, has a 46 m deep stepped well with many outstanding statues on its pillars and a tall arched gate. It is a multi-storeyed assembly with many spots of adoration on every floor. It has a slender entrance manifested by four pillars. Supports and braces embellish all the archways of 46 m deep Raniji ki Baori, which is apparently the major Baori of Bundi. Again October to March is the perfect time visit this place in Rajasthan & when the sun is at it fullest temperature in the afternoon between 1pm to 3pm you can visit is this place and experience the cool pleasant temperature inside the baori. The example of Indo-Islam fusion in architectural work. Architecture is a tribute to history and culture depicting various sides of the society and the fusion. Architecture portrays the harmonious blend of Hindu and Islamic styles. In olden times it served as a welcome break during the harsh summers. The water in the stepwell is regarded as holy water and is used for bathing during special occasions. The carvings and the architecture have been preserved which depicts the love and passion. December to March is the perfect time visit this place & evening dusk 4.30pm to 5.30pm is the time when this stepwell looks at it best. 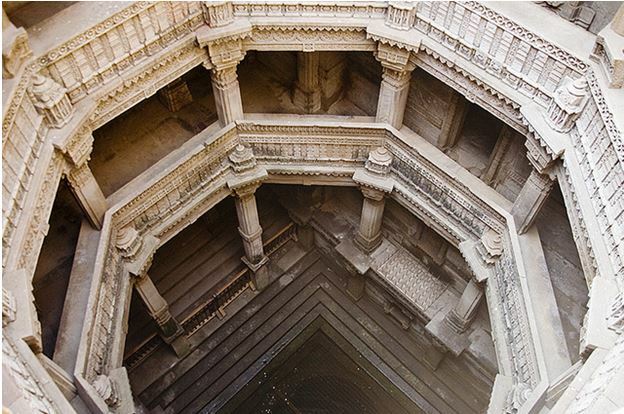 You ought to visit one of these stepwells to appreciate the work of art and architecture which prevailed during the bygone era, which not only served a purpose but also depicted the state of the art technology which existed during that time.